This recipe is a excellent treat and a good source of complex carbohydrates. Serve it with some protein and fat such as eggs or turkey sausage to make it a balanced meal. Dysphagia Level 2 – Ground/Mech Soft – omit apples in batter. 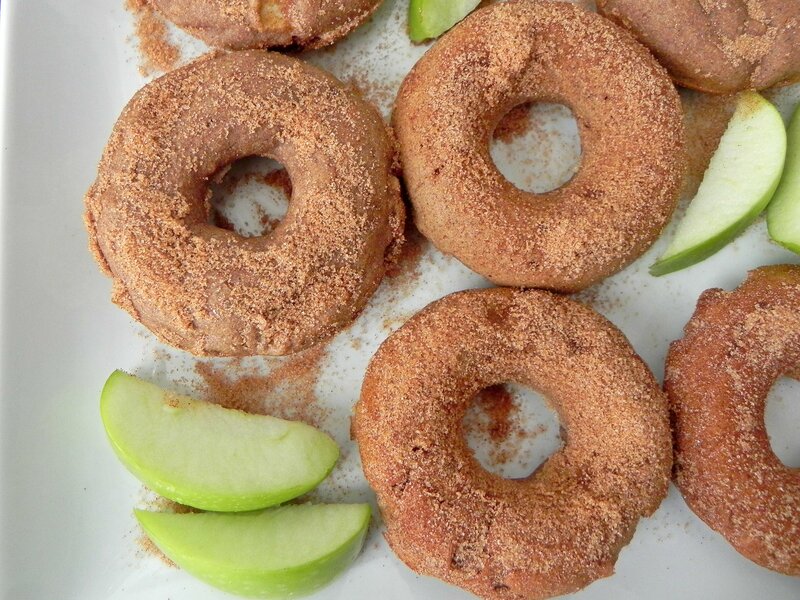 When serving, cut 1 doughnut in small pieces and allow to soak in milk for a few minutes to soften. Combine both flours, baking powder, baking soda, apple pie spice, and brown sugar in a medium bowl and set aside. In a large bowl combine egg whites, apple, yogurt, applesauce, vanilla, milk, and oil. Add dry ingredients and mix until well incorporated.